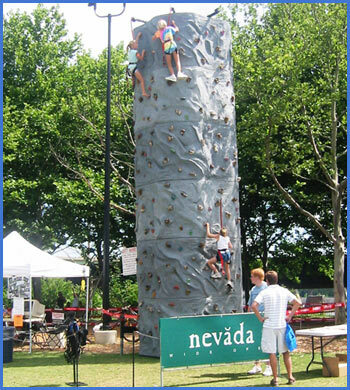 The Rock Climbing Wall is always a crowd favorite. 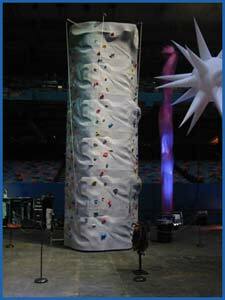 With an absolute thrill and challenge for any child or adult, the rock climbing wall is our most popular item. 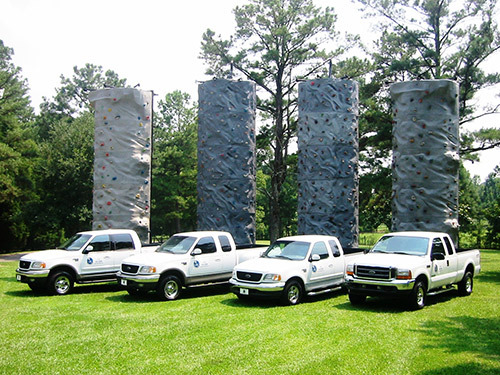 Portable Rock Climbing, Inc. is headquartered in Atlanta, GA.
We at Portable Rock Climbing, Inc. make sure your event runs as smoothly as possible, with no hidden fees for staff or mileage. 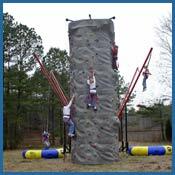 Each climbing wall rental includes trained technicians that stay on site to harness and operate the climbing wall, maintain safety standards at all times and offer a variety of challenges from the 5-year old beginner to the seasoned climber. We have provided our services at thousands of events including birthdays, school and church celebrations, bar mitzvahs, youth camps, sporting events and company picnics just to name a few. Our experienced staff can help make your next event one to remember. 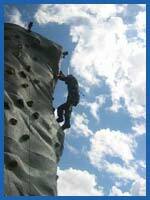 For additional information, please feel free to contact us by phone at 770.304.0696 or e-mail scott@rockwalls.com. Copyright © 2015 Portable Rock Walls, Inc. All rights reserved.